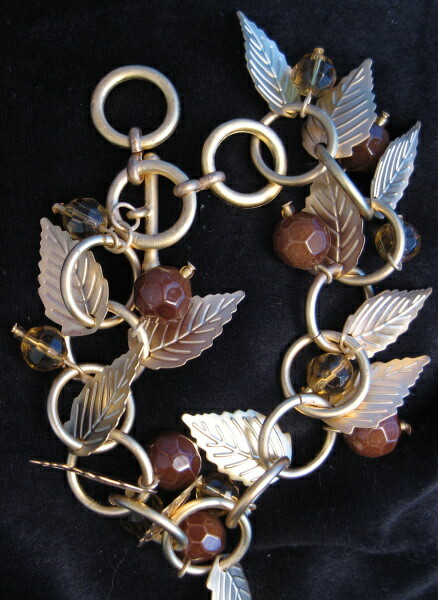 Goldtone leaves with shades of brown beads. A fun autumn bracelet. T-Bar closure. Goldtone leaves and white and iridescent beads take this bracelet from autumn through new years. T-Bar closure. Stretch charm bracelet for Thanksgiving. Charms are turkeys, colored autumn leaves and cornucopia.